We arrange fishing tours, weekends, week long trips and longer! Bespoke fishing trips, we have experts ready to assist on rivers, lochs and sea! We arrange transport, accommodation and fishing! No experience needed. We provide fishing tackle, permits, access, Wellies, transport and an expert to teach you! Sea fishing. Scotland’s 11,800 km of shore line provides fantastic boat and shore fishing throughout the year. West coast sea fishing. Europe’s second largest whirlpool, great scenery, eagles, deer, seals and FISH. Whether a beginner or experienced, we can provide the ultimate bespoke fishing breaks in Scotland, fully guided, if you wish, we can supply tackle, flies, tuition and vast experience of river ghillies – hook up with us for that next fishing experience. Scotland’s big four salmon rivers, the Dee, Spey, Tay and Tweed are just the places to be if you want to land that big one. The River Dee is simply the best spring salmon river in the world and it is here that many of the salmon fly fishing techniques were first developed. Flowing over 80 miles through Royal Deeside, this river offers peace and tranquillity as you cast your fly into the clear waters of this amazing river. In 2010 the River Tweed, in the Borders, produced more Atlantic salmon than any other river in Britain – 23,000 catches – and now ranks among the top salmon rivers in the world. 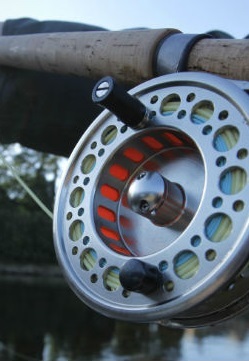 The River Spey is the home of speycasting – a casting technique referred to as a Spey Rod. The record for the largest ever rod caught salmon in Scotland is a 64lb specimen taken from the River Tay in 1922. It is also the river that runs 1/2 mile from our base here in Perth, if anyone knows this river, we do! 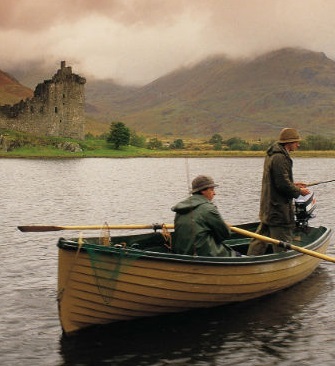 In the north east of Scotland, the Don is one of the finest wild brown trout rivers in Europe and pike & coarse fishing at Loch Lomond, Loch Awe, River Annan and rivers in Dumfries & Galloway.